Why remove your USB Type-C computer equipment from its cabinet? The USB 3.1 Type-C female to female panel mount cable provides the connection to a USB Type-C male cable inside the cabinet and out. 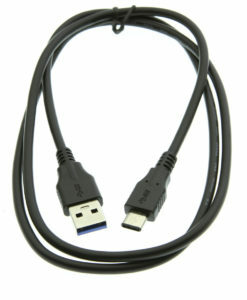 With USB 3.1 specifications the cable allows up to 10Gbps data transfer capability.